Nothing says aristocratic decadence like an afternoon of ambrosial delights and soothing tea on fine china; ladies in their dainty ensembles catching up on all the latest gossip. I absolutely love afternoon & high tea. It’s a great time to meet up with family and friends over some wonderful tea and delicious goods in a luxurious setting and also the perfect location for intimate gatherings & events. People often confuse both Afternoon Tea and High Tea as being the same; however, they are different. The term “high tea” was used as a way to distinguish it from afternoon tea and is usually served between 7-9PM (after dinner). 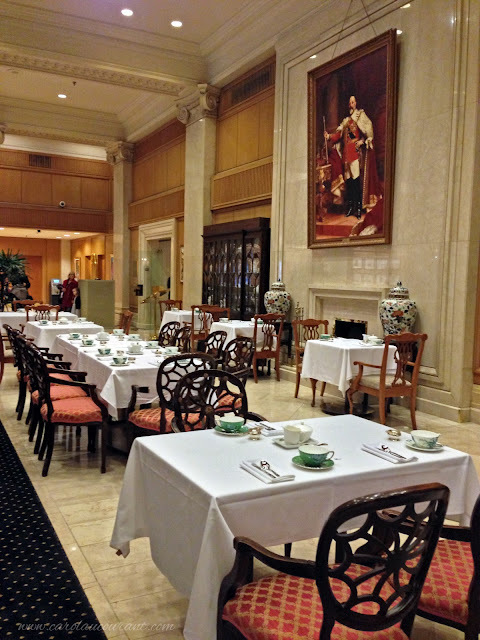 This weekend, I stopped off at Toronto’s oldest remaining luxury hotel, The King Edward (or also referred to as “The King Eddy”), located conveniently in the downtown core at 37 King St. East, to try out their new Spring Menu for their Afternoon Tea. The King Eddy hotel has been an Afternoon Tea favourite for 110 years. Wow! Afternoon Tea is served in the main lobby outside of Victoria’s Restaurant inside the King Edward Hotel between 2:30 – 6:00PM. The Kings Tea starts at $39 (this is the one I had) and includes all of the following below. 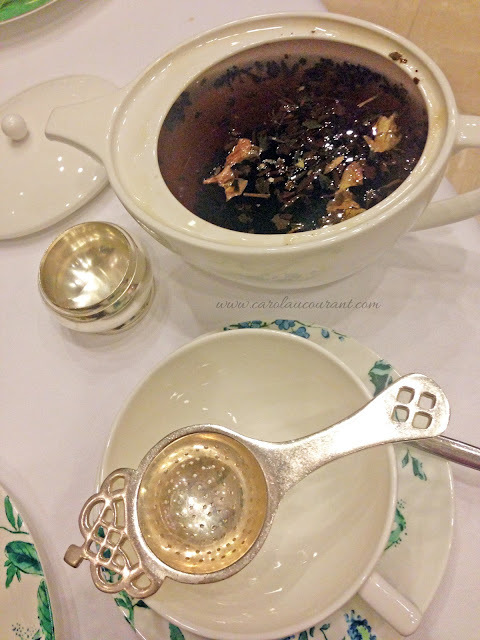 It was my first time having Afternoon Tea at this location so amongst their divine collection of teas, I went with the tea made blended exclusively for the hotel, the King Edward Blend. 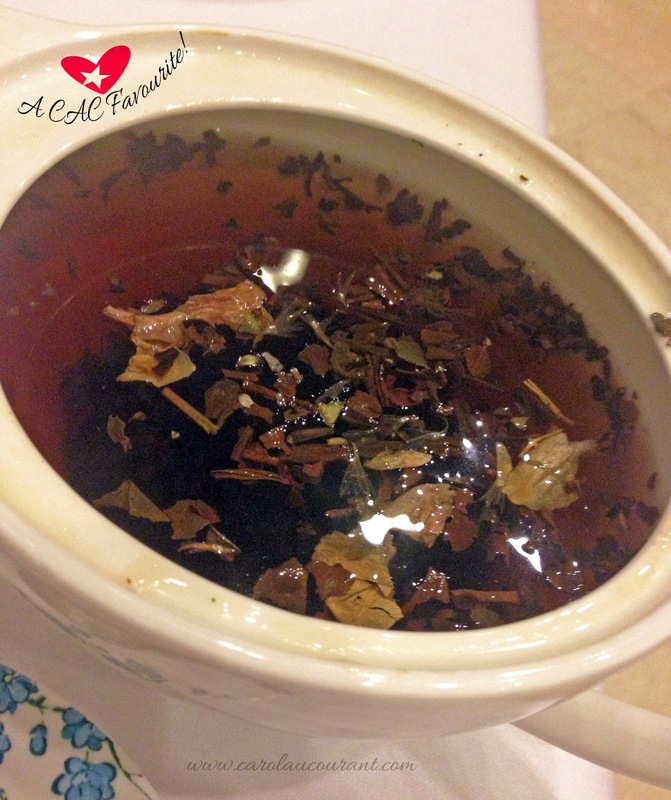 The King Edward Blend consists of floral Jasmine and Ceylon blended with the malty character of Yunnan. Finished with rose petals. This has to be one of my new favourite tea blends! And I’ve had a lot of tea in my years. The aroma alone was heavenly and usually I’d have a dash of cream and sugar in my tea, but not for this one — I wanted it pure. That’s when you know a tea is simply amazing. We then were started off with Savoury Finger Sandwiches. Before I go on about the sandwiches, I have to say quickly how superb the staff were. Not only were they extremely professional and kind, but my tea pot was always filled with hot water (never leaving it to get cold), water glasses brimming, cutlery and dishes clean and any and all questions I had were always answered or even explained before I even asked — exceptional service! The Finger Sandwiches we received were from top to bottom order in the photo above: Ontario Maple and Grain Mustard Confit of Salmon with Tender Leeks, Lightly Curried Coronation Chicken with Mango Chutney, Fresh Chopped Egg with Lemon and Dill, Medium Rare Beef with Stilton Butter and Port Jelly and a Wild Mushroom Brioche with Herbed Goat Cheese. It’s sheer coincidence the sandwiches were lined up in that order because it was the exact order of the sandwiches I liked best. The Salmon Confit with Tender Leeks was absolutely delectable. I wonder if they take custom orders of just this sandwich at Afternoon Tea? I forgot to ask! But I would do it for this particular one because I loved it. Next contender for my adulation was the Curried Chicken with Mango Chutney following closely next to the Egg with Lemon and Dill. Both were extremely appetizing. Although the Beef Sandwich and Brioche were pretty good, they were not on my top Love List. What did rank the highest on that list though came after in the Selection of Delicate Pastries. The 3-tiers of Pastries included: Strawberry Rhubarb Eton Mess, Sugar Shack Maple Tart with Bourbon Plumped Raisins and Candied Pecans, Slice of Spiced Carrot and Cardamom with White Chocolate Cream Cheese, Chocolate and Earl Grey Infused Madeleine, Freshly Baked Currant and Plain Scones served with Traditional Devonshire Cream, Strawberry Preserves and House Made Lemon Curd. I have actually heard many good things about the King Edward Afternoon Tea Scones so I was hoping that it would live up to the hype (I’m very particular about my pastries!). 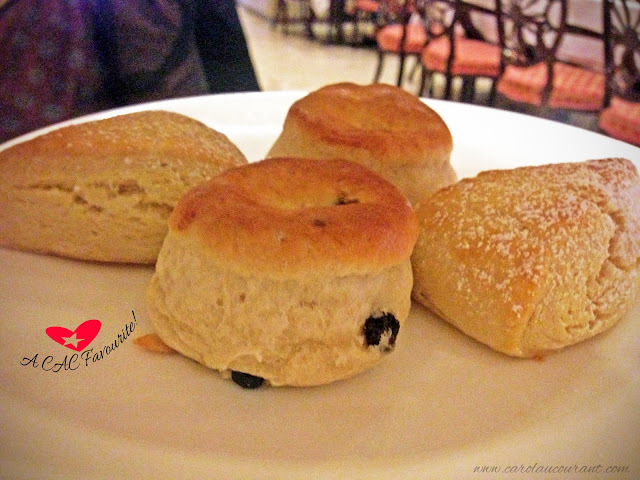 Both my sister and I were instantly smitten after biting into the Currant Scone. Dabbled with Devonshire Cream and Strawberry Preserves (our favourite combo on the scones), it was sheer ecstasy. We loved it so much, in fact, that we ordered a couple to go. The price for a couple (comes in 2 – 1 of each) with a side of Devonshire Cream, Strawberry Preserves and Lemon Curd is $9.99. Well worth the price for how scrumptious it is. The Sugar Shack Maple Tart with Bourbon Plumped Raisins and Candied Pecans was my next favourite in the selection of Pastries. The maple was evident and the perfect sweetness. If you love Strawberries, you will delight in the Strawberry Rhubarb Eton Mess. 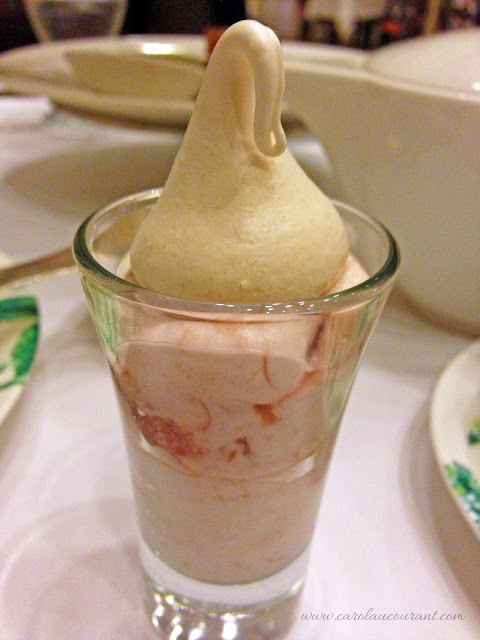 Very overpowering strawberry flavour with the crunchy marshmallow topping giving it a nice touch. 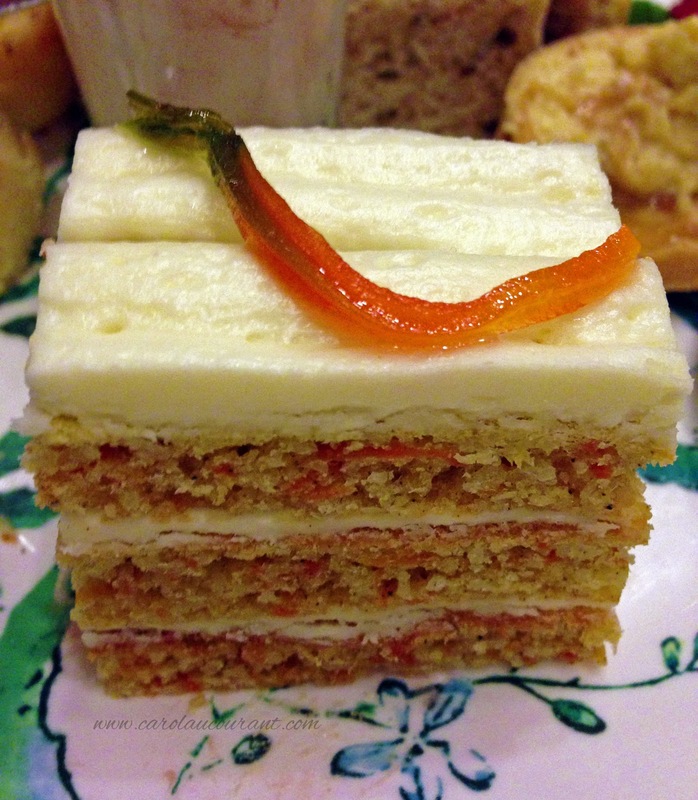 Giving a South-Asian twist to the comforting and popular Carrot Cake, the Spiced Carrot and Cardamom with White Chocolate Cream Cheese, was a unique yet tasty treat. You can definitely taste the cardamom, so much in fact that it may have overpowered the carrot taste just a bit. The white chocolate cream cheese was really good. 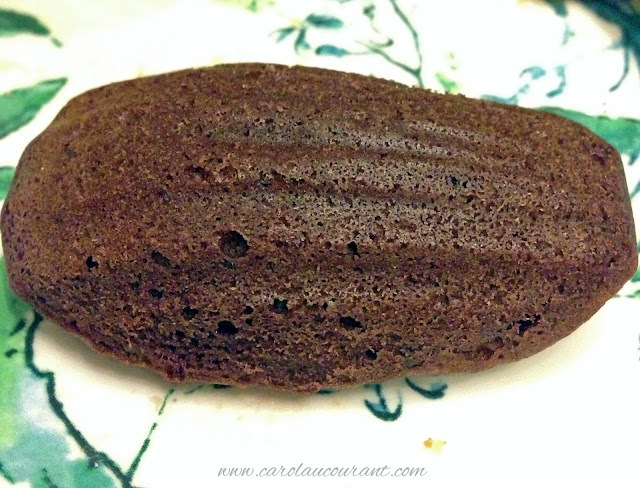 What unfortunately was very plain to me was the Chocolate and Earl Grey Infused Madeleine. I don’t know if it was just mine, but I did not taste the earl grey at all, just chocolate. I’d probably pass on this one for next time. Throughout the finger foods, I was indulging in cup after cup of the incredible tea and wanted to take some home for myself. A small tin started at $35 and the larger tin at $75. Unfortunately they mentioned the smaller tins usually carried what was available and that was usually of the green tea; of course meaning should you want any of the others you’d have to grab the larger tin. I did find this a bit too pricey for my liking. I loved the King Edward Blend a lot but not enough to shell out $75. Hopefully they can price that down and also make this blend and more blends available in the smaller tins. What we found so adorable during our tea time, was that seated next to us on a long table was a small party of young girls (probably around 6-7 years old) in their party dresses and wearing cute hats mimicking an Alice in Wonderland Theme. It gave me some great ideas for my daughter’s future birthday parties! 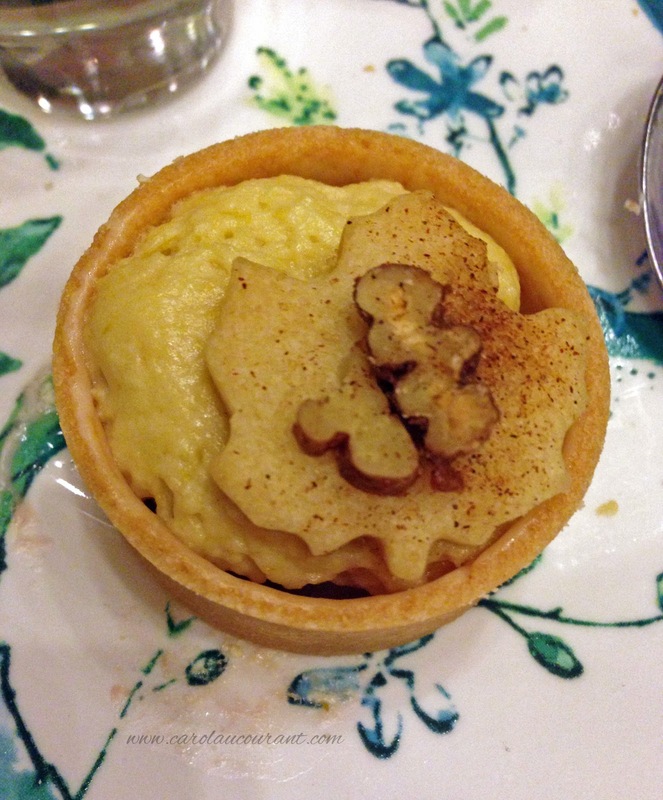 What’s great is that they offer a Jester’s Tea Party Menu for children 12 years and under for $20 which includes a really great selection of savoury and sweet finger foods and beverages. I may just take my daughter with me next time. She would absolutely love it! It was a pleasurable and decadent experience having Afternoon Tea at the King Eddy and surely has been added to my list of favourite spots for Afternoon Tea in Toronto. 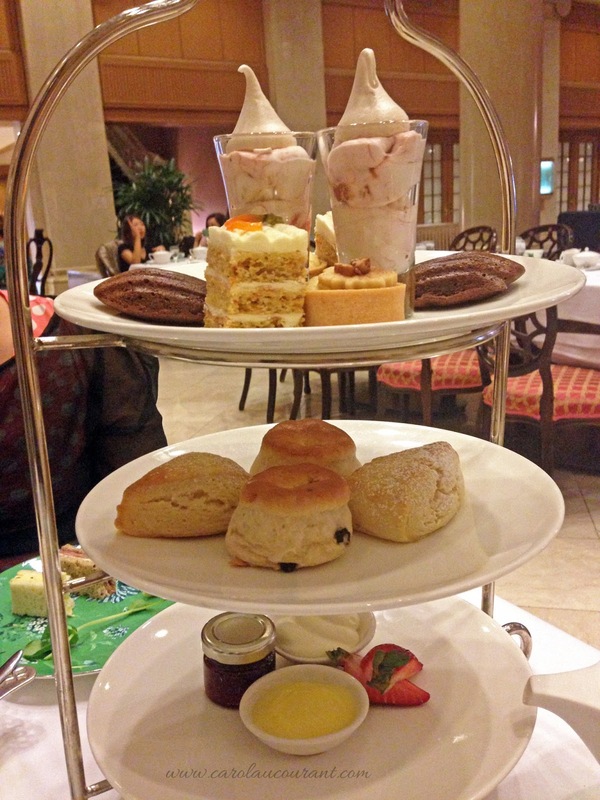 To learn more about Afternoon Tea and their menu options at the King Edward Hotel, you can visit them at: http://www.thekingedwardhotel.com/afternoontea. Meet you for afternoon tea at King Eddy? I love, love tea time! This looks amazing. I hope to drag someone with me to this someday! 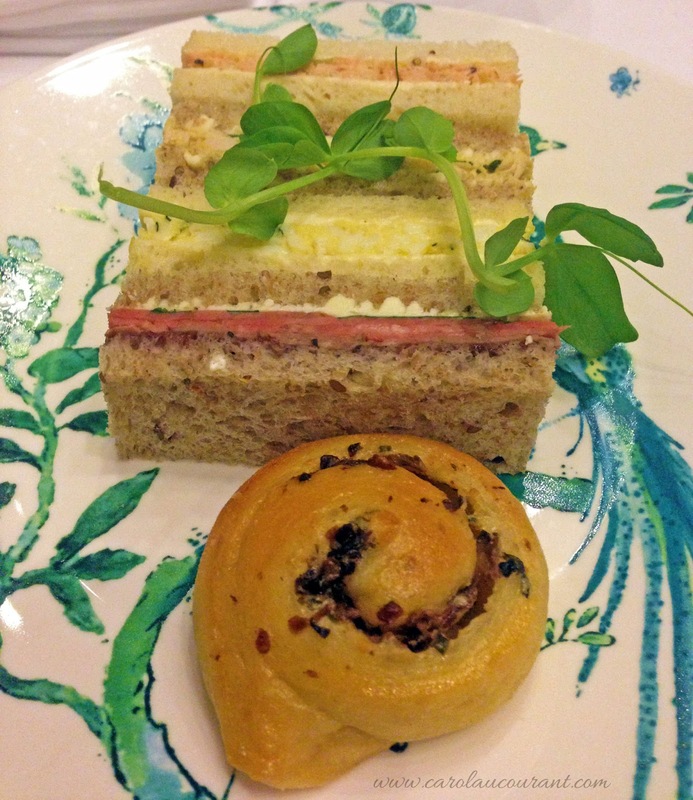 I would love to try going to high tea this year, the food looks so delicious! A Jester’s Tea Party for children sounds adorable. Thanks of sharing – I hope to try it one day. I’ll have to try this next time we are in Toronto! I’ve always wanted to try this but I am intimidated. Thanks for showing how lovely it is. Those prices sound reasonable for the experience and what looks like delicious food! Definitely going to check that out! I would love to go for tea one day as well! This place looks absolutely adorable and divine. That food is definitely making my mouth water. I love the hotel decor. This sounds like a great way to spend an afternoon with a group of girlfriends! I just might suggest this to my friends next time! It truly is the new ladies that lunch! Great way to catch up with friends. 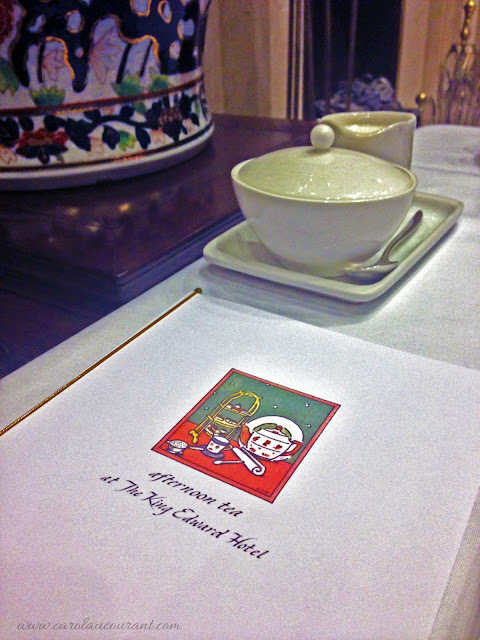 I have always meant to visit King Eddy for Afternoon Tea. My sister got married there! It’s such a lovely hotel. Did you stay there overnight? It’s such a lovely hotel from what I’ve seen. Afternoon tea at King Eddy is definitely one of the best. Great post; I will have to try. 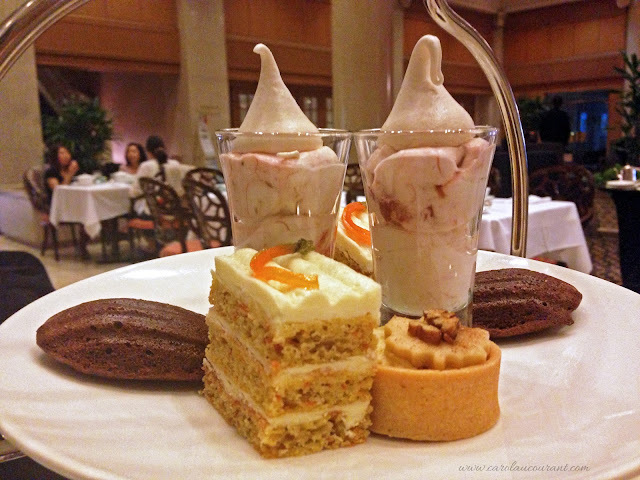 Have you been to the Drake Hotel or Fairmont for High Tea? Would love to hear your thoughts. Oh those sandwiches and scones look and sound AMAZING! Going to have to make reservations. They were fantastic! Let me know your thoughts after you try!